The debate on democratic devolution within England is moving forward rapidly, with a refreshing open-ness to develop a new politics which offers a progressive alternative to UKIP and the other established parties. It’s very clear that following both Clacton - but Heywood and Middleton in particular – the political situation is changing and there’s a vacant space for a radical politics in the North of England which is inclusive and popular and mirrors the radical politics that have emerged in Scotland. Over the last few weeks I’ve met many people who are broadly ‘on the left’ but have despaired of Labour delivering anything other than a continuation of Tory policies. We are at a turning point where the classic party of the ‘working people’ is increasingly discredited and the only current alternative on offer is UKIP. Yet a new progressive politics which appeals to former Conservative, Lib Dem as well as Labour voters and potential UKIP voters is possible. Just as important is the very large number of non-voters. Despite all the publicity surrounding Clacton and Heywood/Middleton, the biggest ‘party’ by far – in both cases – was ‘None of the above’. Heywood and Middleton only managed a 36% turn out. It’s widely recognised that England is a highly centralised nation with power and resources increasingly concentrated on London and the south-east. The historic ‘north-south’ divide is getting bigger and virtually every index of deprivation shows the North (Yorkshire and the Humber; North-West and North-East) becoming poorer in comparison to the South-East. The Scottish referendum campaign has forced the political establishment to accept further devolution for Scotland and the ‘English Question’ – how to re-balance England itself so London and the South-east becomes less dominant – has shot up the agenda. The response from the political establishment has been to avoid creating any new directly-elected bodies but instead to devolve some powers and resources to ‘combined authorities’ in Northern city regions. Some of these already exist, for example in Greater Manchester and West Yorkshire. They bring together the local authorities in their respective areas, with the council leaders forming a leadership group. They have growing budgets covering a range of sectors, including transport and economic development. While it could be argued these are a pragmatic response to existing needs, their big problem is the lack of accountability. Indirectly-elected bodies such as these give greater powers to officers and effectively remove any semblance of popular participation. Further, almost by definition, ‘city regions’ have an excessive focus on the main city conurbations and less emphasis on the more peripheral urban centres and rural areas. The alternative is ‘democratic devolution’ to the regions, with elected assemblies having similar powers to Wales and Scotland. They should be elected by PR to allow a better balance between town, city and rural hinterland. It has been suggested that this merely creates ‘another tier of bureaucracy’ but surely regionalisation should be an opportunity to radically reduce the size of the central civil service, with fewer MPs at Westminster. Further, it should involve a fundamental re-organisation of the dogs’ dinner that is English local government, with smaller and more accountable local authorities which reflect people’s local identities. Again, critics have said that there is no ‘public appetite’ for regional assemblies and cite the 2004 referendum in the North-East as proof. Yet ten years is a very long time and we’ve since seen the success of devolution in the UK. And the original ‘offer’ in 2004 was not only a top-down fix but offered little concrete advantages. There are some areas where pan-Northern co-operation is crucial, notably in transport and economic development. In the case of rail, for example, there is already a ‘Rail North’ executive which is overseen by 30 local authorities. Instead of 30, why not just have three? Whilst the focus of devolution should be to the assemblies, joint co-operation can be progressed through a virtual ‘Council of the North’ which shares resources and services as appropriate. It isn’t about having a huge bureaucracy somewhere in the Pennines – it’s about practical collaboration and highly flexible and innovative ways of working which don’t involve endless unproductive meetings. A new and distinctly ‘Northern’ regionalism is starting to emerge. There is already a North-East party, Yorkshire First and ‘The Free North Campaign’. 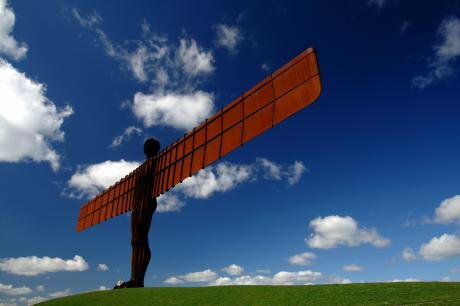 Recently, a revived ‘Campaign for the North’ was launched to promote pan-Northern approaches. The Hannah Mitchell Foundation was set up three years ago as a cross-party lobby and think tank group for Northern devolution. Within the Labour Party and Liberal Democrats there is growing interest in regionalism but this isn’t reflected in leadership support. Only the Greens have a clear pro-regionalist stance. There is a very strong likelihood that the general election next May will see regionalist candidates standing in many constituencies across the North, fighting on a progressive, democratic programme and offering a popular alternative to UKIP to disillusioned voters. Yorkshire First was formed as recently as March this year but managed to pick up 20,000 votes in the European elections a few weeks later, with hardly any campaigning and no resources. Its ‘Yorkshire Pledge’ for an elected assembly is gaining over a hundred on-line ‘pledges’ each week. Can that be translated into votes at what will be a crucial general election? And where, if it does, will they come from? Both Yorkshire First and The North-East Party are wary of ‘left’ and ‘right’ labels, stressing their democratic and socially progressive values but appealing to what, in traditional terms, is a broadly centre left to centre right spectrum. Neither is narrowly ‘anti-South’, representing an inclusive ‘civic regionalism’ which welcomes all who have made Yorkshire or the North East their home. Both are broadly pro-European. A key objective of groups like Yorkshire First is to prove that there is popular support for regional democracy. This will – the argument runs – nudge parties such as Labour and the Liberal Democrats to embrace the idea of directly-elected assemblies. There are precedents for the idea: Labour’s commitment to devolution in Scotland and Wales was as much driven by concerns about the SNP and Plaid Cymru stealing their votes so much as a genuine desire to devolve power. Today, if anything, the stakes are even higher with Labour facing the real possibility that it will be squeezed between right-wing populist nationalism and a new progressive Northern regionalism.